Welcome to the latest installment of Show Us Your Space, a Reverb series that explores and celebrates the unique music-making environments of studio owners, independent builders, and musicians at all levels. Through this series, we've seen studios and workspaces from all around the world—from Australia to Switzerland to our northern neighbors in Canada. Today, we're heading to the West Coast, to a recording studio in sunny San Diego, California. 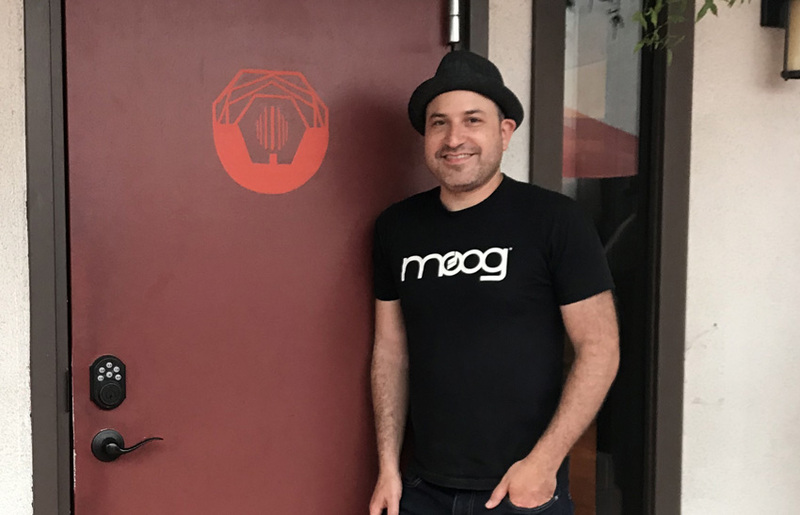 Keep reading to learn all about Rarefied Recording from studio owner and engineer Roy Silverstein. For more information, check out their website here. My name is Roy Silverstein. I grew up in Chicago, but moved to San Diego in 2001 after a four-year stint at the University of Miami, where I studied audio engineering. I've been into recording since the '90s, when I got my hands on a 4-track recorder and became obsessed. 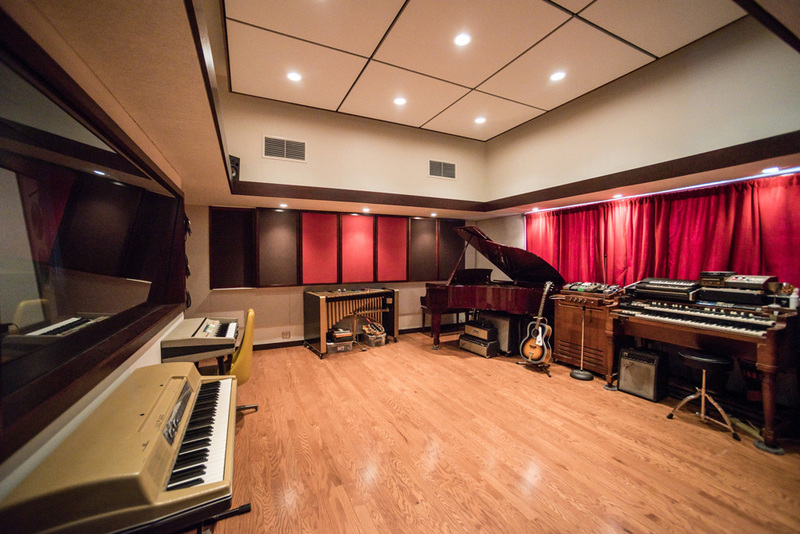 My studio is called Rarefied Recording and it's tucked away in the hip North Park neighborhood of San Diego. I commissioned the amazing studio architect, Wes Lachot, to do the design. Construction was completed in June of 2013. 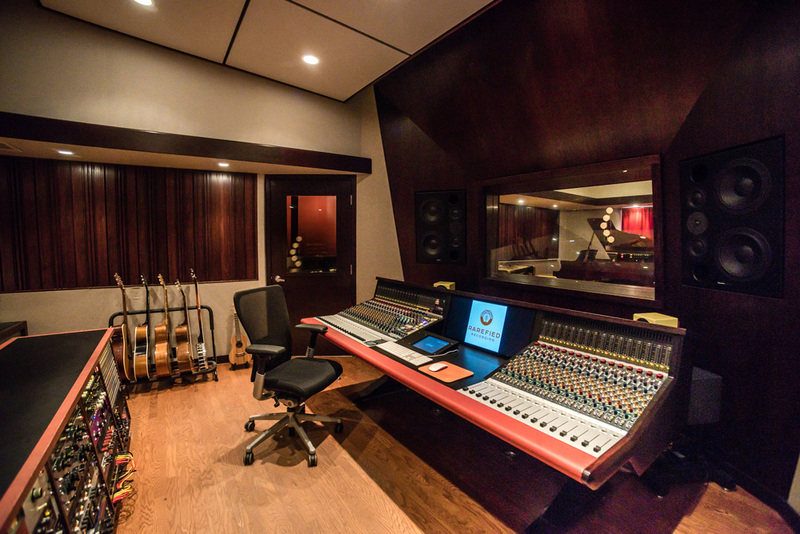 The control room at Rarefied features an extensive wrap-around diffuser design. Both digital and analog recording options are available. The tape machine is a Chris Mara-refurbished MCI JH16 with a 16-track headstack. The converters (not shown) are Apogee AD-16X/DA-16X plus an additional Burl B2 Bomber ADC, which I mainly use to capture the mix off the board. There is a plethora of outboard gear in a large, custom-built credenza. Some of my favorite pieces are the Highland Dynamics BG2 (especially for vocals and bass), the Pultec EQM-1S3s (mix buss and just about anything else), and the Neve 33609 (parallel drum bus compression). A full tiny telephone patchbay system provides access to every piece of gear and every point of the mixing board with normalization to ease workflow. The control room also houses a nice selection of electric/acoustic guitars and basses as well as a banjo and ukulele. There is also a tower of rack mount synthesizers including some cool analog units from Studio Electronics. The console at Rarefied is a 32 channel AMS Neve Genesys housed in a custom desk designed by Brett Acoustics, who also did a lot of the interior buildout of the space. I love the center section area, complete with an ultrawide monitor and dedicated screen built in for the Neve's internal computer. The Genesys is a spectacular machine that offers a nice combination of the old Neve sound and a modern feature set. The mic pres are all the famous 1073 design. The left half of the board has 3-band, 1084-style EQs and the right half has 4-band, 88RS-style EQs. The board can also act as a control surface and it has "total recall," allowing me to accurately recall mixes at any time. The main monitors at Rarefied are soffit mounted, Dynaudio M3As powered by Bryston amplifiers. There are also a pair of Neumann KH 310s and Avantone Active MixCubes that come up and down on motorized stands. The live room has a wonderful selection of keyboards, including a Boston baby grand piano, a Hammond B2 with Leslie, a Fender Rhodes, a Wurlitzer, and a Farfisa organ. 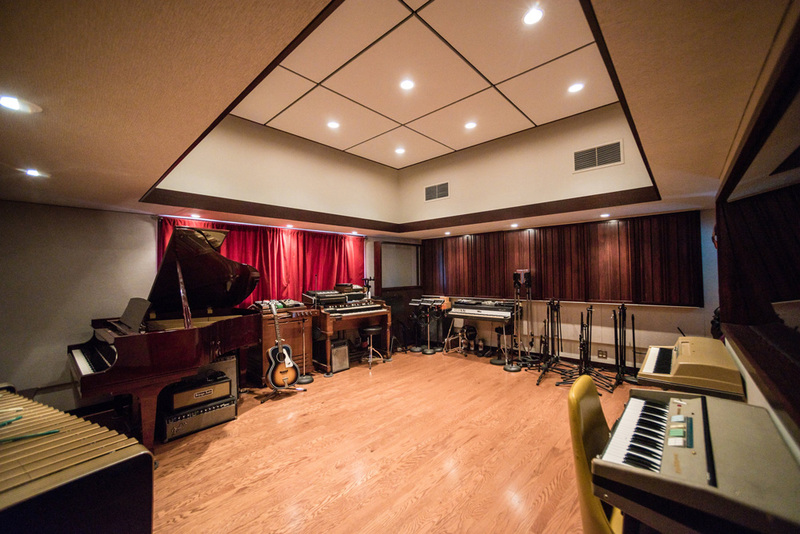 The ceiling height is well over 11 feet and behind the curtains in the back are a set of windows that allow for sunlight in the session (a rare treat for a recording studio). There are 24 mic tie lines in this room providing plenty of mic'ing possibilities. Another shot of the live room shows the set of Deagan vibes available. It also shows how the panels on the wall can be flipped to a more absorptive position. Each side wall has this capability and it allows the live room to go between very dead and a bit more lively. Either way this room is very controlled and even throughout. When you put a set of good musicians in this room together, you can get some amazing sounds with very workable bleed between instruments. The studio has some good amplifier options as well. There's an Ampeg B-15N bass amp (a classic flip-top bass amp), a Traynor Guitar Mate combo amp, a beautiful sounding Ampeg Gemini I combo (probably my favorite "vibey" amp), and a lovely Fender Bandmaster with 2x12" cab (killer clean tone). In addition, I have a Fender Twin (silverface), Fender Harvard Reverb, and a Sears Silvertone (another great "vibe" amp). 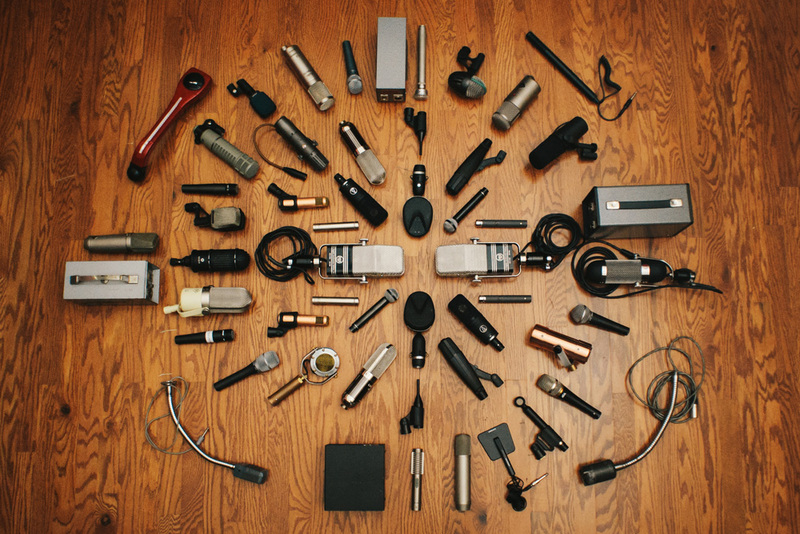 Rarefied has a wide assortment of microphones. Some of my favorites are the vintage Neumann U 67 (especially for vocals), the AEA R44 (vocals, horns, acoustic guitar), the Coles 4038s (room mics), the Josephson e22s (snare, toms, electric guitars), the AKG D12E (kick drum), and the RCA BK-5B (electric guitar). Some additional mics have been purchased since this picture was taken, including a Sennheiser 441 (great on under snare, electric guitar, and vocals) and a pair of Schoeps 221b small diaphragm tube mics (drum overheads, piano, acoustic guitar). To give a sense of the overall space, here is one of the blue print pages. 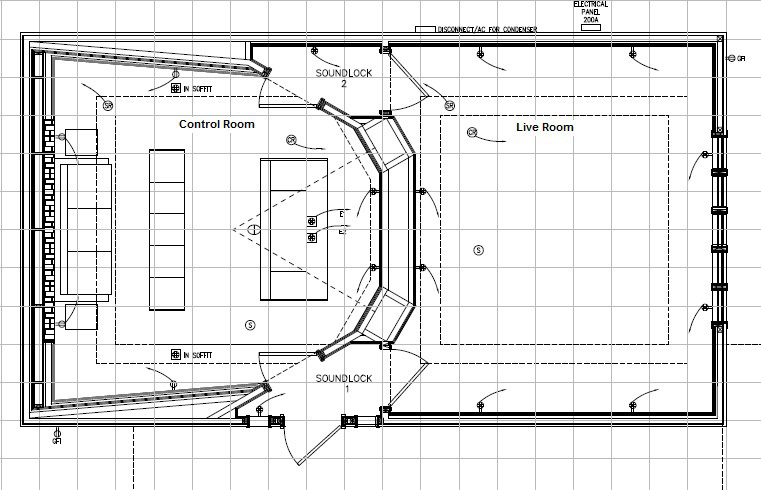 As you can see, besides the control room and live room, there are also two sound locks which double as isolation booths. Finally, every studio needs a lounge. The lounge at Rarefied features a unique circuit board-inlaid coffee table, vintage video game systems (NES, Sega Genesis, Atari), Apple TV, a kitchenette, futon, and a full bath. 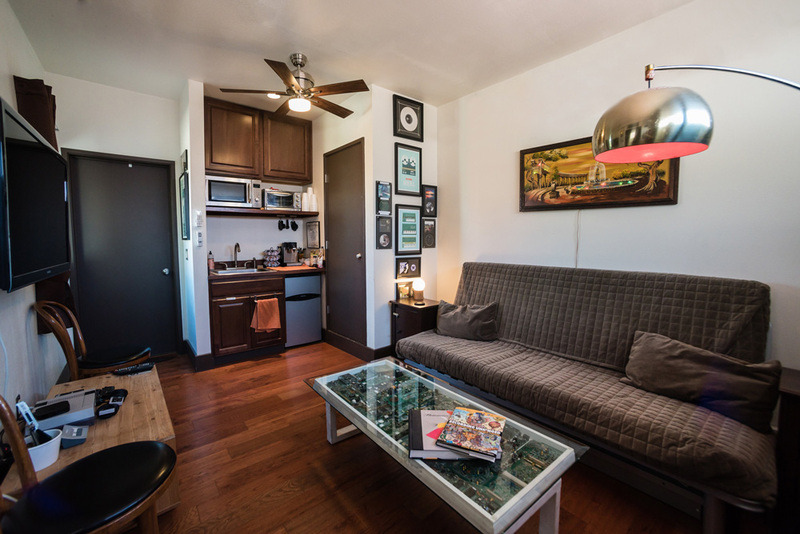 Given this, the lounge can also double as a place to crash for out-of-town engineers or musicians. As mentioned, I'm the chief engineer here, but sometimes I fall back to an assistant role when bands want to bring in someone else. I've had the honor and pleasure of working with some amazing engineers including Brian Scheuble (Tom Petty, Elton John, Fiona Apple, Marilyn Manson) and Danny Kalb (Beck, Ben Harper). The studio has hosted some top-tier San Diego artists like Slightly Stoopid, but I'm also very proud of the work I've done with dozens of smaller local bands. Please have a look at the website for more information. Thanks for reading.